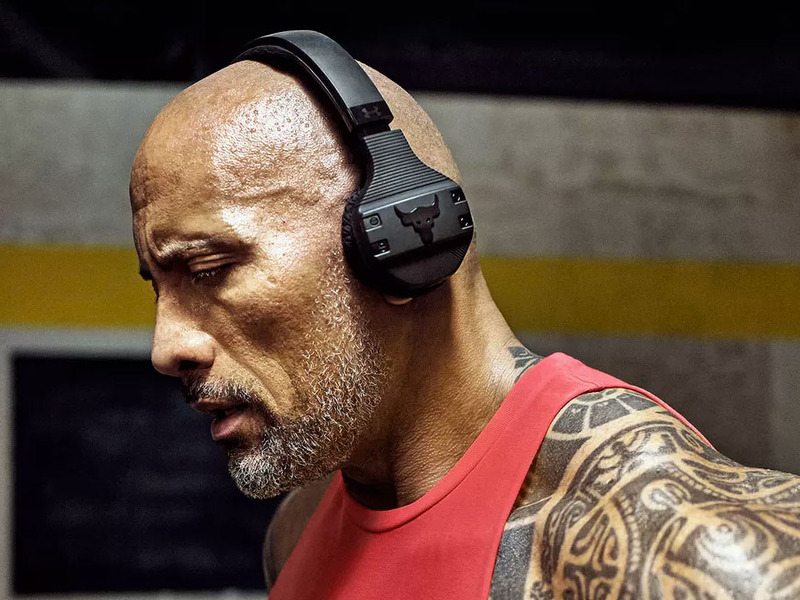 Under Armour's Sport Wireless Train Project Rock Headphones ($249) were made specifically for working out. I put them to the test in the gym. 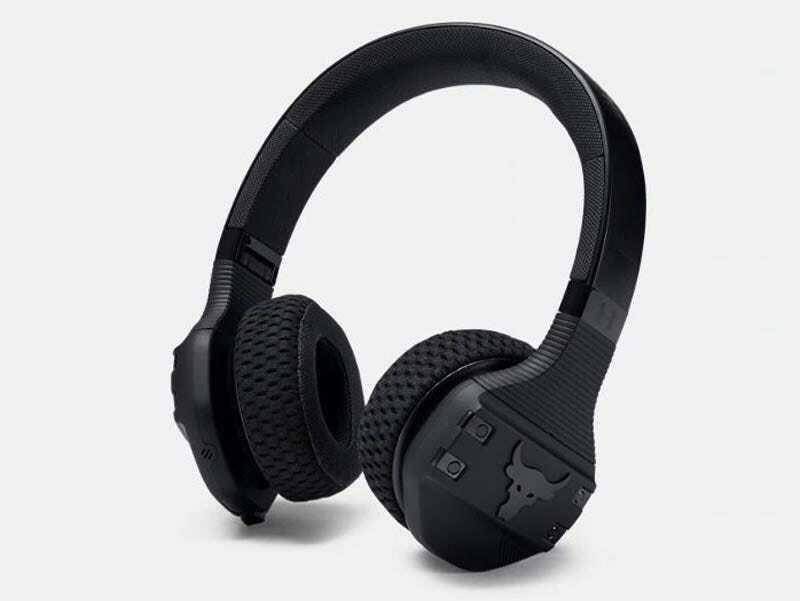 The pros are that they are impressively breathable, quick-drying, and have hand-washable cushions, a long battery life, good sound, easy Bluetooth connectivity, and a sweat-resistant, no-slip headband. The cons are the high price, incomplete noise cancellation, slight discomfort after long wears, and that it took a couple tries to get used to fitting the cushions back onto the speakers once removed. All in all, they're a solid option - especially if you want over-ear headphones with a hygienic and breathable emphasis. To save some money, consider buying the nearly identical $179.99 version on Best Buy. Finding a satisfactory pair of headphones for the gym has always been a game of compromises. Some have great sound but poor ventilation, others might slip around once you start moving. And on and on. But unlike the traditional headphones we force into the exercise mold out of necessity, Under Armour's Project Rock Sport Wireless Train Headphones ($249) were built for working out. They're one member of the selective Dwayne "The Rock" Johnson's signature Under Armour line, designed hand-in-hand with The Rock. The headphones themselves are durable, compact, hygienic, and breathable - with an emphasis on conveniently long battery life and a "speed charge" that converts five minutes of charging to one hour of playback. In my own search for a pair I didn't hate wearing, I tried them out. The construction is durable enough to be kicked around. It has an IPX4 rating (water resistance that amounts to getting splashed), folds in on itself for easy storage, and comes in a molded hard carrying case that vaguely reminded me of a miniature military Humvee. The messaging is clear: they are rugged. Thankfully, they do a good job of living up to the theme. As an on-ear option, the first real battle to win is breathability, and, connected to that, hygiene. If you're going to sweat in them every day, exercise headphones need to be semi-water-resistant, fast-drying, ventilated, and ideally easy to clean. The Train Headphones excel in these categories. The lightweight SuperVent cushions are forgettable once on, and the ventilation does an adequate job of keeping you cool throughout an entire workout. I overheat easily, and I was impressed with how comfortable - and how lightweight - these were during grueling cardio workouts that would have been oppressive in any traditional options I own. The material is also very fast-drying. Next up is battery life. If you've only got an hour to work out, the gym closes soon, or it took an hour just to get your skintight performance gear on, then you need the freedom to get up and go when you please. You want to capitalize on your motivation when it arises. The enemy of this case is a pair of dead headphones. To give you the immediacy and convenience required, Train Headphones have 16-hour battery life for a week's worth of workouts and a five-minute speed charge that provides one hour of playback. In terms of sound, you'll get a good bass-rich sound courtesy of JBL. The quality of the mids and highs were impressive for sports headphones, but they probably won't replace my traditional headphones for everyday listening. However, they're perfect for workouts. By touching the buck symbol on the headphones, you can dim the sound to hear your surroundings better without removing them. The headband is outfitted with a grip material that keeps headphones in place during workouts. It works, even during the jolt of a six-mile run and jumping rope. Intuitive, oversized control buttons let you pause music, skip songs, and control volume, and Talk-Thru technology lowers the music and turns on speech-optimized, noise-canceling mics for making or taking calls between sets. You can also trigger Siri or Google Now. Another notable perk is that the Bluetooth connectivity is among the simplest I've experienced. From its first setup to all the workouts after, I haven't yet had an issue pairing. If you lack Bluetooth (or you want to connect them to machines that require old-school headphones) there's a headphone cord included. Here are the cons to consider: While others reported no issues, it took me a couple tries to replace the cushions once I had removed them for cleaning. (The trick is to push from the inside of the cushion, rather than pulling the elastic around the speakers.) And after two hours or more of wearing, they could become uncomfortable. Also, on-ear headphones aren't going to always give you the total noise cancellation that lets you shut out all the other people in the gym. Considering the other benefits, this was fine with me. The price isn't ideal at $249, but most competitive options you'll consider will be in the $200 neighborhood. If you're willing to spend that much on on-ear headphones that feel good in a gym, then you'll likely find it was money well spent. However, it's good to note that there's a cheaper similar pair of JBL Sport Train Headphones with the standard logo available for $179.99 on Best Buy right now, and that may be worth checking out if you want save a few bucks. All in all, these headphones work as they should - and they wear like headphones made specifically for the gym, which we're betting will be a relief to many. They're worth it if you're going to use them often, and they'll go over especially well for anyone concerned with comfort, weight, and breathability. To date, they're the on-ear sport headphones I'd be most happy to use during my own workouts - and will continue to use.